You can't use Steam! 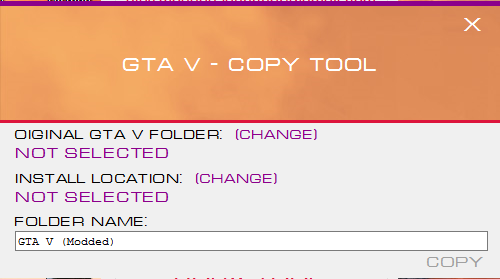 Still in work. 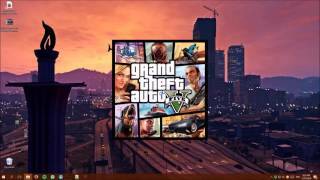 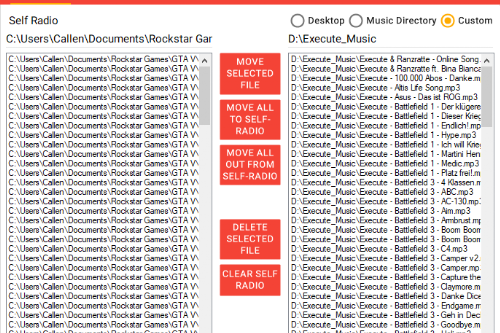 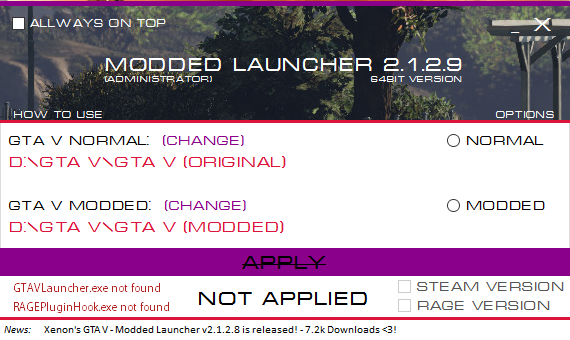 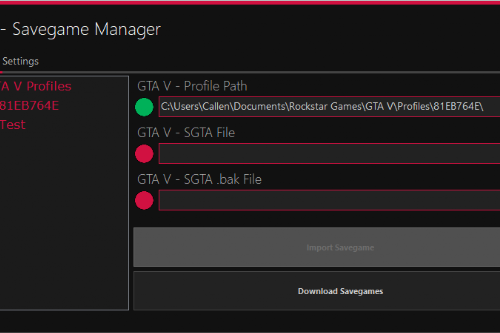 With this launcher, you're able to use two versions of GTA V.
!You need to make two GTA V folders, one for the Original and one for the Modded! 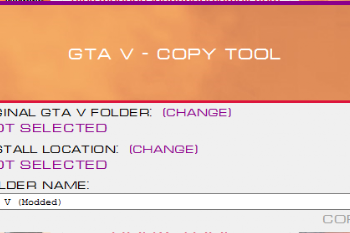 At first, you have to select the Original and the Modded Folder. 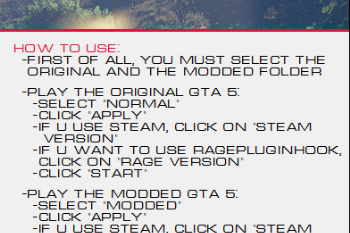 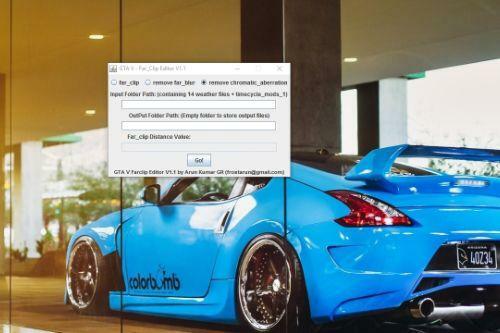 -If u want to use RAGEPluginHook, click on "Rage Version"
1 Download = 1 Like? 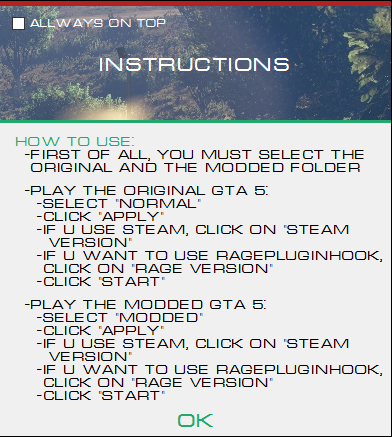 @FumingPotato Normally it should work, but I own the retail version, so I can not test it. 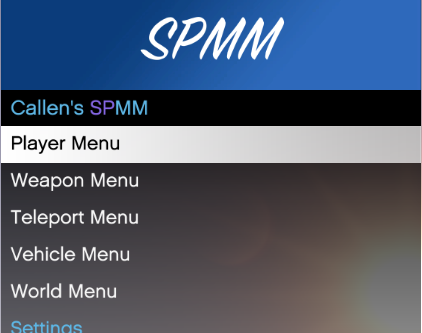 what is used for!? 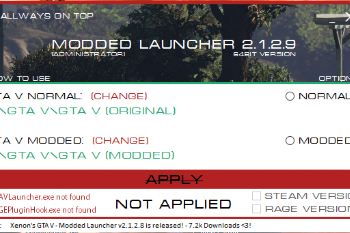 Mod launcher? 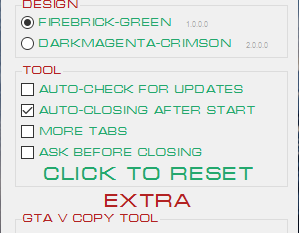 it can decrease the opportuntis of baning? 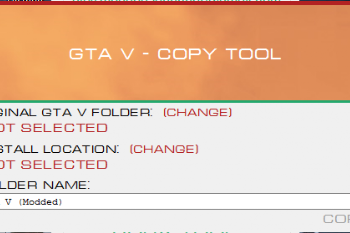 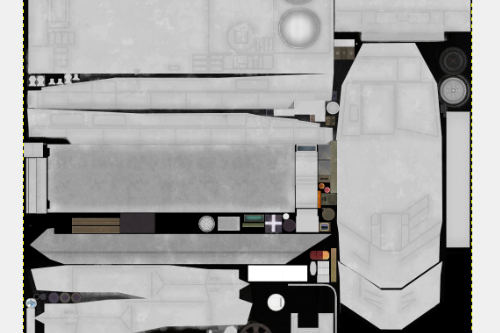 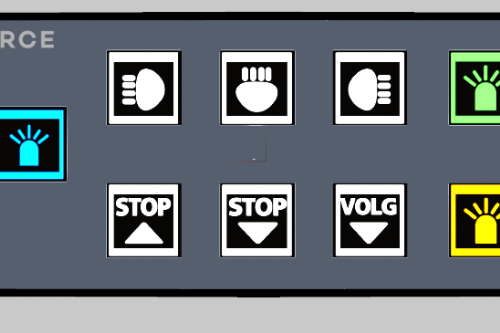 @BroXe https://www.gta5-mods.com/tools/gta-v-modding-launcher :) -- After that I saw your Design and then i wrote my own tool. 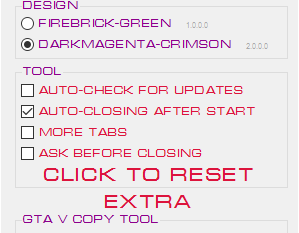 Later some friends saw that i have to upload my tool. 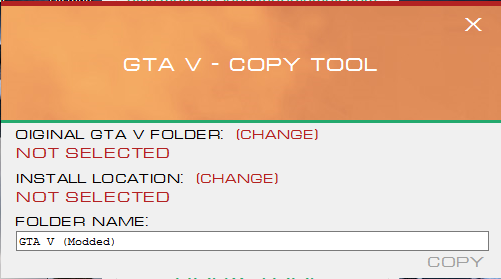 Sorry, I meant "said" and not "saw". 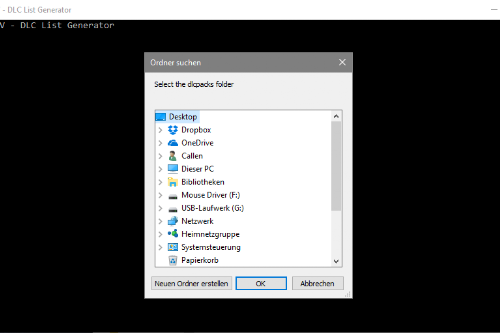 Alles klar, trotzdem danke für deine Hilfe! Does it also work when u dont have GTA?